Rediff.com » Movies » Designer dreams and bad company! Designer dreams and bad company! Vidya Malavade and Gul Panag were spotted at designer Anita Dongre's new store in Mumbai on Wednesday. 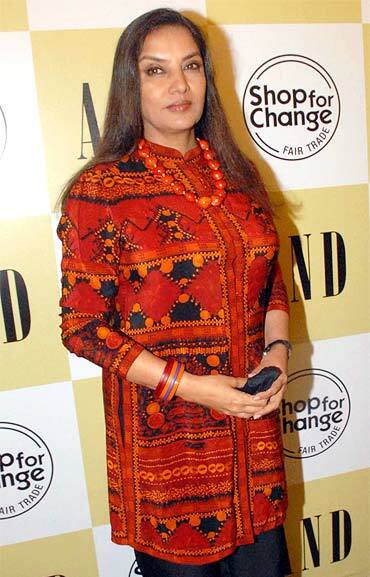 Also present at Anita Dongre's launch was Shabana Azmi. 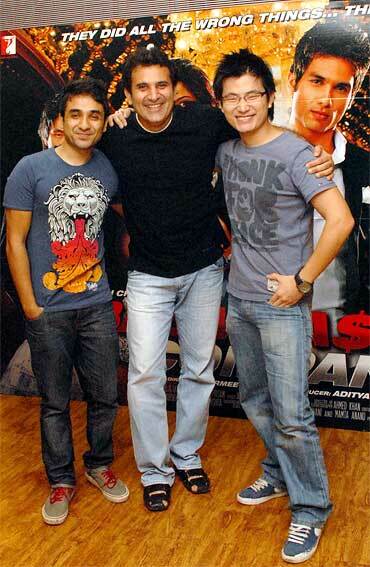 Actors Vir Das and Chang pose with director Parmeet Sethi at a promotional event of their upcoming film Badmaash Company at the Yash Raj Films studio in Mumbai. The movie also starring Shahid Kapoor and Anushka Sharma releases on May 7. 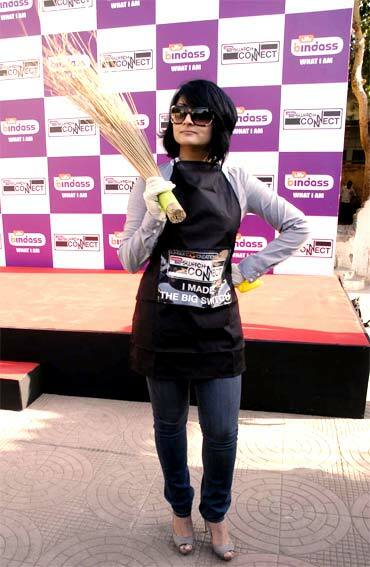 Elsewhere in Mumbai, television actress Urvashi Dolakhia was spotted at the UTV Bindass Big Switch campaign on the importance of effective usage of water. Who could be Gowariker's Buddha?